If you would like to win a two course dinner for two at The Brook pub/restaurant please read on. At the end of this post is a survey. Those completing the survey will be automatically entered into a draw to win this very nice prize - compliments of, and thanks very much to the Brook in Worcester Park. It's now been nearly four months since Kingston, Sutton and the other London boroughs went to the polls to elect their local councillors for the next 4 years. And with another (Scottish) election happening today it is perhaps an appropriate time to look back at this last one. As many blog readers know this last election was a very personal event for me as I was one of the candidates standing in Worcester Park ward (in the London Borough of Sutton). At the time I wrote that I would "take blog readers with me" on the journey to find out what it is like becoming a councillor if I won. Unfortunately I missed out on winning a seat by a 75 votes and did think it was perhaps only right then to take readers through what it is like to lose. However having written and re-read versions of this post soon after that (and shown them to other people) I realised it was important to step back and wait until I could speak a little more objectively about the experience. The first thing to say is that whatever the outcome it is a very intense emotional experience. For most candidates of all colours it is the culmination of months of hard work. For many, it is years of hard work - all unpaid. The period from when the polls close at 10pm until results start to be announced many hours later is a surreal slice of time when all of us (the candidates) are on a level footing, going through the same hopeful anxiety, trying to be neither too confident nor too resigned. Nothing unites people like a shared emotional journey and this is the one time when all candidates across the various parties can have a knowing chat or a laugh together, knowing there is nothing more anyone can do to alter the as yet unknown outcome. The best moment of the night for me was soon after walking in when someone asked if I'd heard the news that the BBC were apparently reporting exit polls suggesting the Lib Dems had lost Sutton Council. I didn't mind at this point if we had won outright or if we would need to form a coalition with Ukip or even Labour, Sutton needed a new start and this would finally be it. Unfortunately quite soon into the count it became obvious that this was just idle gossip. After hours of concentrating on people counting votes, having spent the entire day from 5am leafleting, phoning and knocking on doors to persuade people to actually go and vote, the results started to come in. Each time an announcement of an impending result was made, the various parties' electoral agents were invited up to see and accept the numbers and then Niall Bolger, Sutton Council's chief executive would officially announce the result. Usually you have a fair idea of whether you have won or lost before the result is announced and this helps you brace yourself (if necessary) for when you find out for real - probably from your electoral agent just before the announcement is officially made. The actual announcement though is usually the point when people's eyes well up. Whether with excited disbelief for the newly first elected, or gutting disappointment for those who worked so hard but didn't make it, especially for those who lost seats they had held and worked hard in for years. One by one the list of disappointments grew as capable, dedicated and hard working Conservative candidates found it had all been in vain. On a positive side we did see some exceptional new Conservative councillors elected and it was good to see many of our existing councillors retain their seats. The Worcester Park results were one of the last to be announced and I took a small comfort from that while it was close, Graham Witham (our previous Conservative group leader) had told me from bitter experience that the difference between our party votes was unlikely to be made up with split votes and that we had probably not made it through in WP. I was at least ready and able to put on a brave face and congratulate the winners properly after our disconsolate results were announced. I arrived home at nearly 8am, having been awake and mostly working solidly for nearly 30 hours straight (and having only slept one and a half hours the night before.) There was just time to put the results up on the blog before going to bed for a long and dispirited sleep. The first few days afterwards were very difficult. I was not able to face even visiting Central Road for over a week. I knew that the pain and disappointment would subside in time but there was some real grieving and soul searching to do in the meanwhile. I could go into further detail but risk crossing the line between describing what it feels like and venturing into 'woe is me' territory so I'll cut this off here. I have heard several theories as to why the Lib Dems did so well. Very few of them involve people actually wanting the Lib Dems to win 5 out of every 6 seats on the council (although given the low turnout they did this with only 16% of eligible people voting for them). Even Lib Dem voters I have spoken to would have preferred a more even balance - just for the sake of better democracy with a reasonable sized opposition. The Ukip vote did have a major affect on the outcome. Ukip did garner many votes across Sutton although they didn't win any seats in the borough. The Worcester Park Ukip candidate received 768 votes which was nearly double the gap between the highest vote taker (Lib Dem) at 1508, and the lowest Conservative result - 1146, meaning that that Ukip voters effectively chose the Lib Dem status quo for Worcester Park by not doing anything about it. Across the whole of Sutton many Ukip voters seemed not to use all three of their votes and if they had all voted Conservative or Labour with their other votes then Sutton would now have a much more even balance of councillors including several Labour councillors as well as a stronger Conservative opposition. In fact if even just half of Ukip voters across Sutton had voted Conservative instead of Ukip we would now have a Conservative run council (with 32 out of 54 councillors) instead of a Lib Dem one. So it really has been a case of vote Ukip - get Lib Dems. If you want to check out the maths for yourself, Adrian Short has provided all the data here. Number crunch away! It also seems the case that the Lib Dems nationally had targeted Sutton specifically as one of a small number of councils they must not lose. One voter I spoke to said they received 10 answer phone messages from the Lib Dems on election day trying to persuade them to vote Lib Dem. Yes 10! It seems that Lib Dems around the entire country were ignoring their own areas and instead telephoning people in Sutton in order to keep Sutton Lib Dem. They have already tried to spin their terrible results nationally by claiming something like 'people like us where they know us' but it may be the result was manufactured at our expense just for the sake of one positive sound-bite. Many blog readers will have noticed that I have not managed to post quite so often since the election. I had not been working prior to the election, preferring to use my saving and focus on the election instead (with a great deal of thanks going to Mrs WP). I had hoped if I won, to treat being a councillor as a part time job (it pays around £10,000 per year) overlapping with running the blog and then trying to land an additional part time job to make up the financial shortfall. I felt I could serve Worcester Park as a very effective councillor this way. Given the outcome, I have instead had to return to full time work to pay the bills and so have just not had the time available to post as much as I had previously. This does bring me back to the original question of what people would have preferred me to do, which also feeds into the question of whether I should stand again. I was originally offered a candidacy in a safer Sutton ward and would indeed now be Sutton councillor had I taken up the offer. However I felt Worcester Park was the right place for me and worth fighting for. Did I make the right decision? Please let me know what you think. However this time rather than general comments below, I would prefer to find out what individuals think and so I have put together the survey below which I would ask you to please fill in. 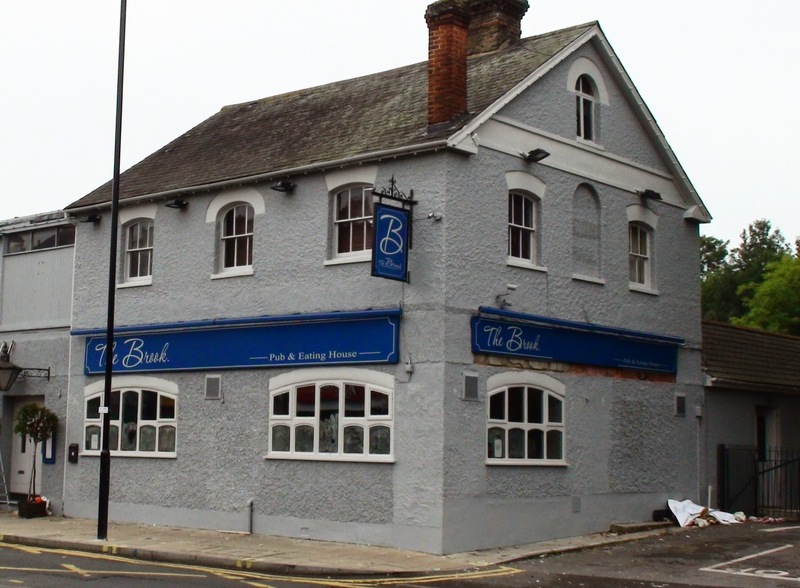 I know many people aren't particularly keen on surveys so as an incentive, The Brook pub/restaurant opposite Green Lane have kindly offered dinner for two as a prize for one lucky survey respondent chosen at random from everyone who completes the survey. This will be drawn on the 12th of October so you have just under a month to enter. You will be able to use your prize any time before the end of November. The data you provide will be retained by the Conservative Party (“the data holders”) in accordance with the provisions of the Data Protection Act 1998 and related legislation. By providing your data, you are consenting to the data holders making contact with you in the future by telephone, text or other means, even though you may be registered with the Telephone Preference Service. Your data will not be sold or given to anyone not connected to the Conservative Party.